If you toss and turn at night, where does that leave you in terms of choosing the best pillow? Opt for a pillow that fall somewhere right in the middle. You can’t go wrong with something that’s not to firm and not too soft; something that’s not too low and not too high. This foam pillow is a great place to start. It contours to your head and neck for supreme comfort. Plus, it’s fully customizable, so you can find just the right loft for your body. It’s also made of natural materials, making it a great choice for allergy sufferers. Nearly 1,600 reviewers online give the pillow five stars, with some calling it “the most comfortable pillow” they’ve ever owned. If you need more support at night, consider trying a memory foam pillow. Memory foam pillows conform to the head and neck, which in turn supports the back. Memory foam is also a great option for anyone who sleeps in a variety of positions, though it’s best suited for side and back sleepers. Stomach sleepers may find that memory foam is too firm for their liking, as it may crane the neck and lead to misalignment. This particular pillow has nearly 11,000 five-star reviews online, and it’s easy to see why. It’s made of a soft, cushiony material and its loft is fully customizable. It’s also hypoallergenic. Need some more help finding what you're looking for? Read through our best memory foam pillows article. About 15 percent of adults sleep on their sides—a sleeping position that’s great for anyone with back or neck pain. But if you sleep on your side, it’s important to choose the right pillow. A pillow that’s too firm can cause wrinkles, since one side of your face is pressed into the pillow all night. And a pillow with a high loft can unnecessarily crane your neck, leading to discomfort. Look for a pillow that’s soft enough to cradle the neck, but firm enough to keep it in place. Remember: Your head, neck, and spine should be in alignment. This pillow molds to your head and neck for the proper support, but isn’t so firm that you feel stretched. And a special proprietary foam keeps your head right where it should be all night long. It also has special cooling technology, making it a great choice for anyone who runs hot. Buying a pillow can be a very personal experience. Down alternative pillows are a great choice, because they closely mirror down pillows. The big advantage? Down alternative pillows are less expensive and are hypoallergenic, making them a much better choice for anyone who has allergies. They’re also slightly more breathable than feathered options. If you suffer from neck pain, experts recommend changing your sleeping position (just that alone could do the trick!) or swapping out your pillow. When you have neck pain, it could mean you’re not getting enough support while you sleep. Choose a more rounded pillow to mirror the natural curvature of the neck. And opt for soft memory foam or feathers. A pillow that’s too hard may just exacerbate neck pain. Though this pillow is very affordable, it’s touted as one of the best pillows to help relieve neck pain. Nearly 200 reviewers give this uniquely designed pillow five stars, citing its ability to help prevent stiff neck. Like many of the best pillows, it’s customizable, so you can find a height and firmness that works for you. Even though only 8 percent of people sleep on their backs, it’s the best position for you. Sleeping on your back keeps your head, neck, and spine in alignment. And when your body is in this kind of neutral position, you’re less likely to feel pain as a result of straining. Look for a pillow that elevates and supports your head. Your neck shouldn’t be craned, though. A pillow that’s a bit firmer will also better cradle the head while sleeping on your back. This particular pillow has nearly 400 positive reviews because it provides adequate support, but it's still highly breathable. It’s filled with 5 pounds of USA-grown buckwheat hulls that conform to the shape of your neck. If it’s too firm, simply remove some of the buckwheat hulls until you find the right fit. Down pillows are filled with feathers—specifically, the feathers that come from the bird’s soft undercoating. Hungarian—or European—goose down is considered the best of the best when it comes to down pillows, because these the down is larger and softer. Though these types of pillows are more expensive than others, particularly synthetic options, they are popular because they are supremely lightweight and comfortable. If you like to sink into your pillow, down is the best choice for you. It’s also great for stomach sleepers who need support, but will experience discomfort if a pillow is too firm. 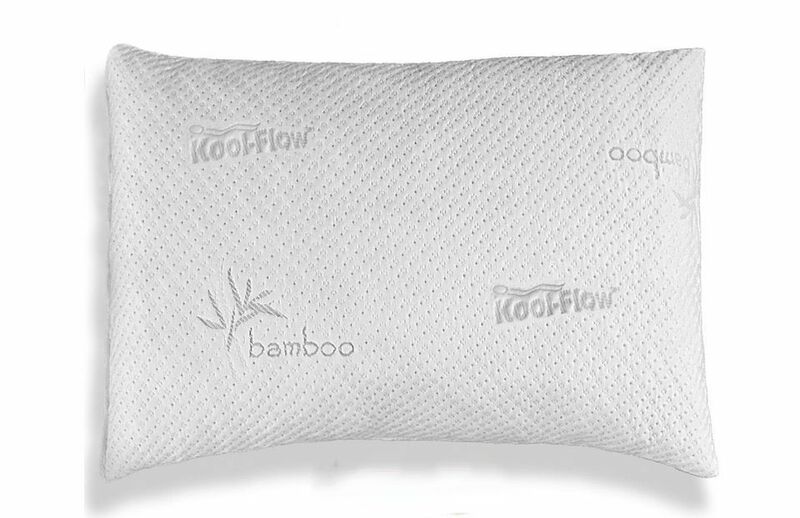 This particular down pillow is 100 percent down (many are supplemented with synthetic materials), has a 100 percent cotton shell, and earns rave reviews from more than 300 satisfied customers. If you’re buying a pillow for yourself—one you’ll sleep on every single night—the extra cost is worth it. You’ll see dividends in the way you sleep, but also in the way you feel during the day. That said, if you’re buying pillows for a guest bed or a bed that you only occasionally sleep in, a quality budget pick may be a better option. Though it’s a hard balance to strike, this pillow really delivers in both quality and affordability. The gel fiber fill is not quite squishy, but not quite firm either—it’s somewhere right in the middle, which is sure to satisfy a wide range of sleepers. It also holds its shape to keep your head, neck, and spine aligned all night long. And because it’s breathable and hypoallergenic, it’s suitable for even the most sensitive sleepers. Plus, you get two incredibly comfortable pillows for less than the average pillow. We bought four top-rated pillows and our reviewers tested them daily for weeks on end. We asked our reviewers to consider the most important features when using these pillows, from their firmness to their material. We've outlined the key points here so that you, too, know what to look for when shopping. Material Pillows are typically made of materials like foam, down, down alternatives, gel, or polyester fill. Each has its pros and cons. For instance, memory foam pillows are great if you sleep in the same position every night, while down pillows are super fluffy. Consider whether the material you’re buying is conducive to your sleep preferences and whether it might cause any allergies to act up. Firmness Your firmness preference is an essential consideration when purchasing a pillow. Think about whether you like your pillows firm, super soft, or somewhere in between before you buy. Sleep position The position you sleep in can affect which pillow is best for your needs. 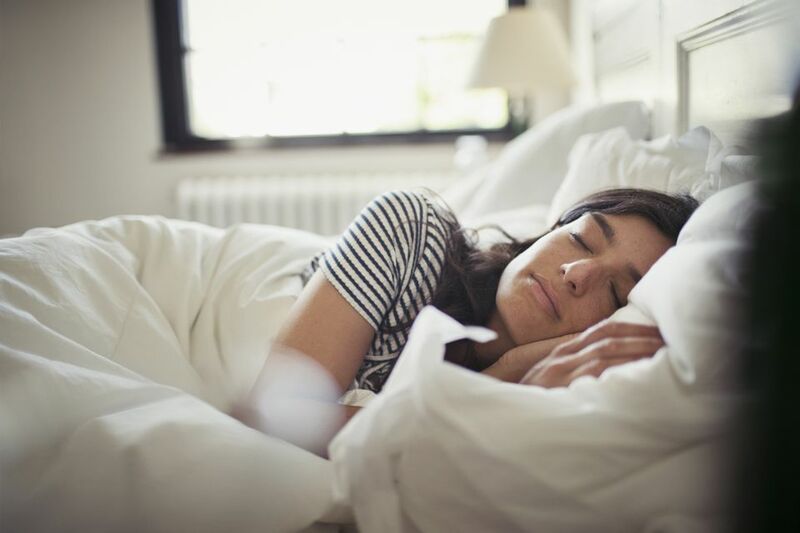 Those who sleep on their side typically do best with a wide pillow with a gusset or extra height, while those who sleep on their stomachs need a soft, thin pillow to maintain their neck’s natural curve. “This pillow is soft without being too soft,” explained one of our testers. “It conforms around your head but still offers support.” Another plus, according to one reviewer, was that its outer shell was durable: “I washed and dried it without any shrinking,” she noted. On the other hand, one tester reported that it had a “slightly chemical smell” that didn’t dissipate until she washed the outer shell for the first time. This pillow won over our testers because it was large and comfortable. One reviewer also loved that it felt “luxurious" and pointed out that it has a 20-year warranty. Although our testers liked that its filling was adjustable, one reviewer noted that it was shredded and messy to remove. Lastly, according to one tester, it “had a weird smell” when she first unwrapped it. However, she said that it went away after washing the outer shell. This pillow was an excellent overall value for the price, according to our testers: “It isn’t fancy, but it’s definitely comfortable,” one reviewer said. “It’d be great in a kids' room or to use as an extra pillow on a bed if you have shams.” Our testers also thought that it looked well-made and that it was “pretty fluffy — ideal for people who like a softer pillow.” On the other hand, one reviewer pointed out that it didn’t conform to her head and that you can’t adjust the fill.